Yellowstone Garage is a 1920s gas station and mechanic’s garage converted into a unique restaurant and event space. We’re located in the heart of downtown Casper, WY. Owner John Huff purchased the building in the late 1990s to use as a garage for his classic car collection. The community was so impressed by our space that they began requesting to rent it out for private parties and events. Scratch-made American food: Order green chili cheese fries or made-to-order cheeseburgers to satisfy your taste buds. 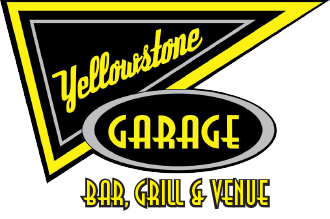 Live music and entertainment: There’s always something fun for the whole family going on at Yellowstone Garage. We've maintained the classic feel of the garage, so poke around to see the antique gas pumps and old photos hanging around the restaurant. Stop by our bar and restaurant today to enjoy vintage charm, delicious American food and live music in Casper, WY. Our event space is available to host all types of events. Feel free to contact us today for more information and availability. To book our event venue in Casper, WY, call 307-262-7256 today.